Through The Woods a collection of stories, expresses excellent charactieristics of the Journey subject area, making it a great source for HSC students. Each page has an underlying darkness, behind the minimalistic art and negative colour lines; with bright prominent reds to show a malevolent presence. It’s simple, beautiful and extremely creepy. 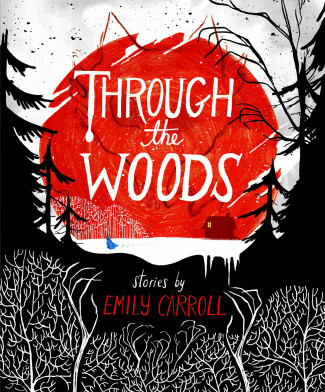 This entry was posted in All, Book Reviews, Young Adult and tagged Emily Carroll, Through The Woods by Jody. Bookmark the permalink.